Monday, February 27, 1911: The roads were so muddy that I went up the railroad to school and came home that way. Besse was out this afternoon. Wish I had all of my lessons out for tomorrow especially my latin. It’s hard to picture how bad the mud must have been in the era before paved roads. Railroad tracks for the Susquehanna, Bloomsburg, and Berwick Railroad (S.B. & B. R.R.) crossed the Muffly farm.The route went from Watsontown to McEwensville and Turbotville and then continued east to Washingtonville, Bloomsburg, and Berwick. My father says that Grandma always called the railroad the Sweet Bye and Bye. According to an essay by the Columbia County Historical and Genealogical Society the Susquehanna, Bloomsburg and Berwick Railroad (S.B. & B.R.R.) was often called the ‘Sweet Bye and Bye’ because traffic was intermittent, and trains traveled at a slow speed and stopped at every hamlet and feed mill along the route. Sweet Bye and Bye is also the name of an old-time hymn. There were flag stops at two feed mills between Watsontown and McEwensville (a distance of only 4 or 5 miles). One was at a hamlet called Pioneer–it’s just a group of 4 or 5 houses today–and the other was at Truckenmiller’s Mill which was located next to the Muffly farm. The railroad was also sometimes called the Weak and Weary railroad. It was a financial failure because there were no major industries along the route. The S.B. & B.R.R. 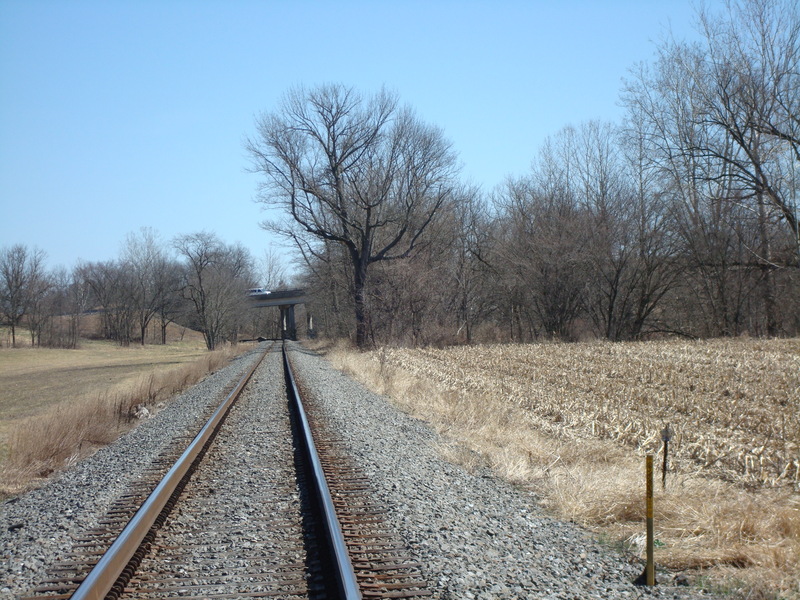 no longer exists, but the track is still used by trains transporting coal to the Pennsylvania Power and Light (PP & L) power plant at Strawberry Ridge near Washingtonville. Posted on February 27, 2011 December 28, 2016 by SherylPosted in McEwensville, Turbotville, WatsontownTagged Susquehanna Bloomsburg and Berwick Railroad. The info was part of a longer letter dated May 3, 1863, and sent by H.W.D. on behalf of the Sunbury Guards (the group which made up Company C of the 47th Pennsylvania) to the editor of the Sunbury American. The newspaper published the letter in its May 30, 1863 edition. That edition is available online via the historic newspapers collection at the Library of Congress. Thanks for sharing the very interesting information. I’ve already shared it with several relatives who are very interested in the history of the Civil War. Thank you again for taking the time to provide all of this wonderful information. Since I wrote my last note to you, I’ve read the complete letter. Whew, the first person account of happenings in Key West really gave me a sense of what it was like back then much better than any modern history possibly could. When I get a little more time I’m going to go back to the paper and read the article about Stonewall Jackson’s death and the other Civil War stories. And, for others who read this blog, here is the link to the historic newspapers collection at the Library of Congress. It is a wonderful resource.